In the nose promising and age-appropriate, he turns on the tongue and on the finish a bit too much and wants to make on Macker. 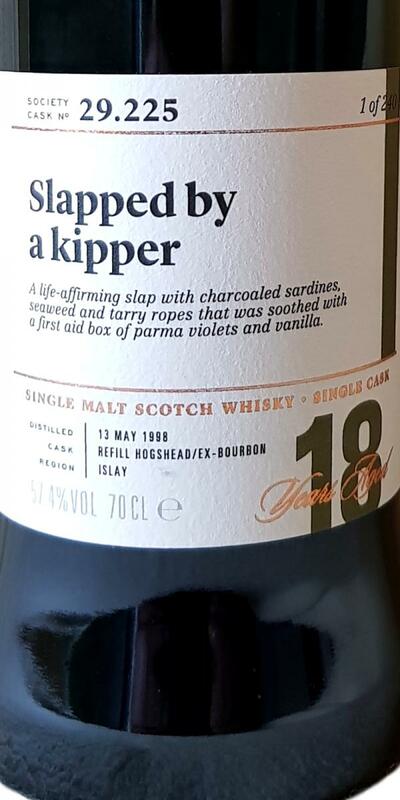 This intense tarry smoke is surprising here - but would be "forgivable" if only the impression on the tongue more intense and the finish would be longer. Mild smoke, as one may expect with an 18-year-old Laphroaig. 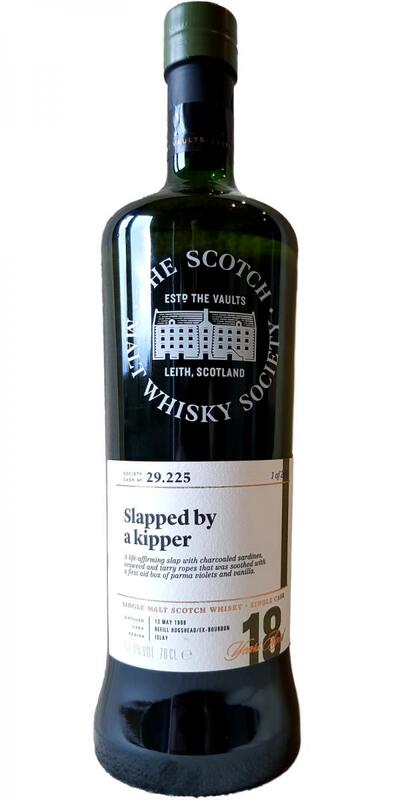 A sweetness of ripe pears and lime slices accompany the smoke - at first. Once the glass is set aside, the fruity notes fade into the background, seaweed, tar and freshly washed hospital corridor push into the foreground. Liquorice and pepper are pressing, as well as nutmeg and thyme. Almond chocolate and coffee in the background, but both can not prevail. Tar, Hansaplast and smoke flood the whole mouth, because otherwise nothing else arrives. Then, after some time, a nose-like fruit note comes on the tongue, while honey, vanilla and milk chocolate. Ah, now it starts - right? Well: tar and smoke are always present, with licorice and iodine, a bit of seaweed perhaps. But the spectrum will no longer be deeper or wider. Get dry quickly. Pretty short for a full-year. Dry, smoky. Still Hansaplast, but on the finish with a dollop of vanilla ice cream. Thin mouthfeel. Sweet start with vanilla. Green tea, fennel and, yes, a medicinal taste. Liquorice and raw white fish. Dry and a tad medicinal later. Can’t believe i went for this again after trying it only a few weeks ago Blog. With an intense and life affirming slap around the face with a smoked kipper we awoke to the heavy peat reek of charcoaled sardines. Seaweed and tarry ropes produced the image of standing at the end of the pier with sea spray in the wind as we enjoyed a smoked seafood platter. There was an undeniable scent of first aid box with antiseptic and bandages but with the heavy notes of oil on a mechanic’s overalls. Water released more sweetness in the form of parma violets, vanilla, liquorice and sugar-coated fennel seeds while the finish returned to its core of old fish boxes and squid ink.